Mad Dog Hostel is the perfect place to meet people and make friends. We have a bar, to sit down and taste the best Brazilians drinks of the area, sometimes on the company of little monkeys that come often to visit us. Located at the natural crossroads of Lagoa da Conceição, Mad Dog Hostel is ideal for travellers who are looking for a perfect place to spend holidays. 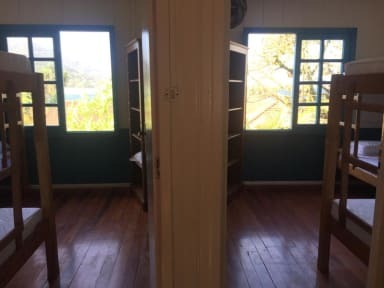 Easy access, near of Florianopolis's main beaches, a foot cross of the best of the night life and just meters away of all the conveniences: post office, supermarket and local bus stop. The guests can also enjoy water sports and nature. No matter what you're looking for, you'll find it all and more at Mad Dog Hostel. We provide some facilities such as shared kitchen, WiFi, locker and Baggage store on the check in and check out. The hostel has private room, shared dorm and a female only dorm. So whether you're flying solo or backpacking with friends, we guarantee enjoyable and memorable times. We speak your language! Payment upon arrival by debit cards. 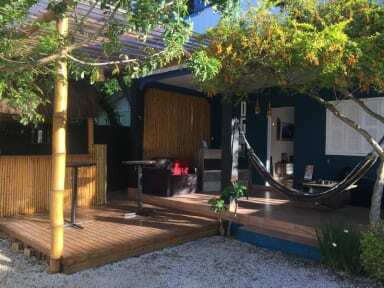 Excelente localização, estrutura simples mas que atende bem, ambiente relax e descontraido .